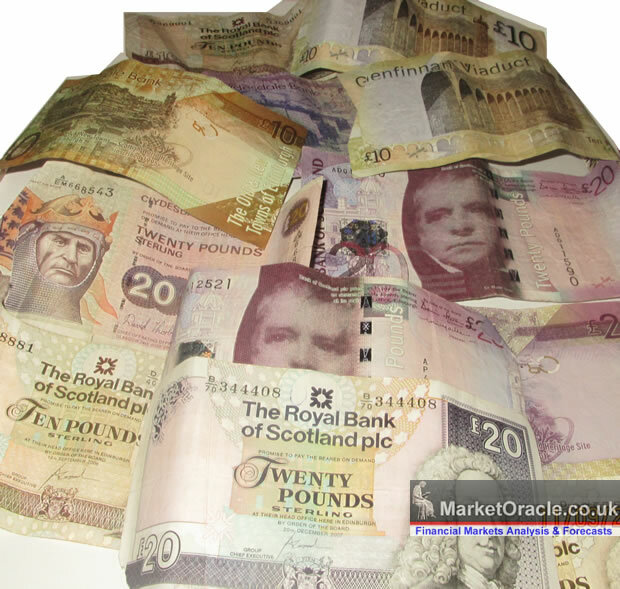 Independent Scotland Currency, Plan A, B, C or D - British or Scottish Pound? The bottom line is that the likes of Alex Salmond can continue to scream as loud as he want about having the right to share the pound, for the facts are that pushing this agenda to its ultimate limit conclusion would result in a UK referendum on whether a foreign nation should be allowed to share the British Pound and associated institutions such as the Bank of England to which the UK people would overwhelmingly vote NO! 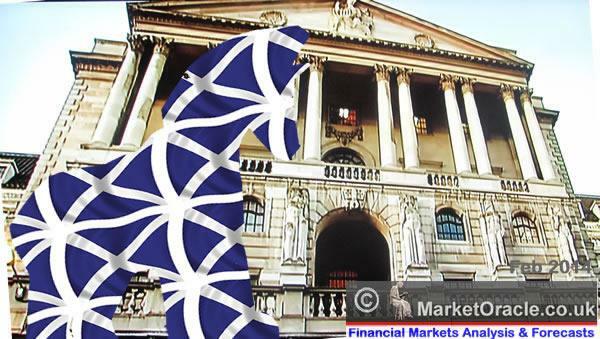 So what Currency options are available to an Independant Scotland ? 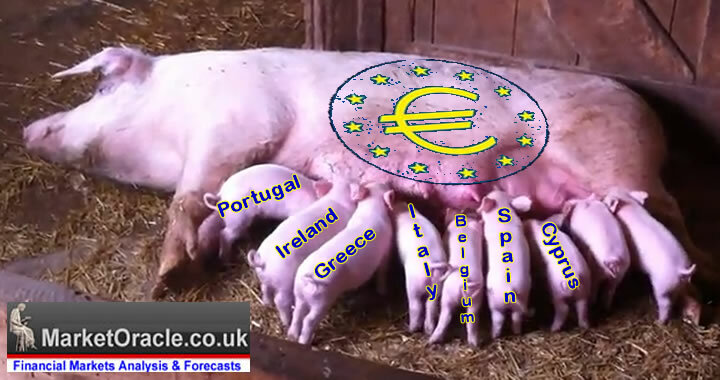 Given the disaster that the euro-zone has been for most of its member nations that remain immersed in an economic depression, such a decision is going to go down like a led balloon with the Scottish electorate. However, in all probability the people of Scotland will vote to remain a part of the UK as most Scots realise the extent to which they are subsidised by England for being within the UK as voting YES would be tantamount to committing financial and economic suicide.